How do I ensure punctuality and professional demeanour? Students will be given basic guidance about appropriate dress, demeanour, and behaviour before going on placement. If you have a concern about a student in this regard, please contact a Practice Educator. Why is there a new programme for educating pharmacy students? A major review of the five year pharmacist qualification was commissioned by the Pharmaceutical Society of Ireland, called the PEARs (Pharmacy Education and Accreditation Reviews) project. This review recommended the introduction of a five year fully integrated pharmacy programme to replace the previous 4+1 model (four year degree followed by one-year in-service practical training). In 2015, SI 377 of 2014 came into effect, legislating for this change. The new programme provides students with experience of patient-facing situations and real-life pharmacy practice at several stages before they attain their qualification. This early practical experience helps students to contextualise their theoretical studies and will provide them with the skills to meet the demands of the ever-changing face of pharmacy in healthcare. How do we manage patient/customer and colleague expectations? The student can be introduced to patients/customers and colleagues as a pharmacy student on placement and/or the student could wear a badge provided by APPEL, that identifies them as a pharmacy student. Please discuss your preferences with the student. Feedback from previous 2nd year students indicated that students felt they greatly benefited from the opportunity to improve their communication skills with patients in a “real-life” environment. Students are encouraged to interact with patients, and to reflect on these interactions in the context of their own professional development, under the supervision of their pharmacist. Students are also reminded before they go on placement, to be mindful not to treat the patients they meet as “case studies”, but to be respectful, courteous, and empathetic at all times. Can a Training Establishment provide an APPEL Placement if they also have an NPIP Intern? Yes. However, it should be noted that APPEL’s governance, training and placement requirements are unique to the APPEL programme. What activities should 4th-year students undertake on placement? Professional Practice e.g. legal, ethical and professional challenges in practice. Personal Skills e.g. decision making and leadership skills. Organisation and Management Skills e.g. self-management, HR, financial management, QA. It is envisaged that students will develop their competence in these areas by completing the academic modules and practicing the competencies with mentorship and guidance from their placement provider. These competencies have been chosen for 4th Year to reflect the diversity of practice setting where the students will be undertaking their placements. The placement activities will vary greatly depending on the placement organisation and the stage in the students’ development. Guidance on suitable activities will be provided by APPEL. Are Preceptors required to have completed a minimum number of years on the PSI register? There is no requirement in this regard for 4th-year Preceptors. What are the benefits to pharmacists who undertake preceptor training? Undertaking preceptor training can support your (CPD) continuing professional development. In 2017, 84% of our 2nd Year supervisors agreed that supervising a student contributed to their CPD and 88% found it a rewarding and enjoyable experience. Previous course attendees have commented on how the skills they developed at APPEL training were highly applicable to their engagement with other team members in their practice. Can I go back to my 2nd-year placement for later APPEL placements if I get on well there? You are allowed to undertake your 4th-year and 5th-year placement (but not both) in the same pharmacy where you attended the 2nd-year placement. However, APPEL cannot guarantee that such an arrangement can be made. You may engage in part-time, holiday and/or summer work experience with the 2nd-year Training Establishment, but such arrangements are between you and the Training Establishment. Should I be talking with/asking questions of all pharmacy team members or is it just the dispensary team? You can gain valuable information from all members of the team, so questions may be asked of anyone. Keep in mind that you should pick suitable times to ask questions. What if I feel that my supervisor doesn’t let me do anything / enough? Remember to discuss and to plan your learning activities with your Supervisor. If your Supervisor does not allow you to engage in the activities right away, make the most of your time and be patient. 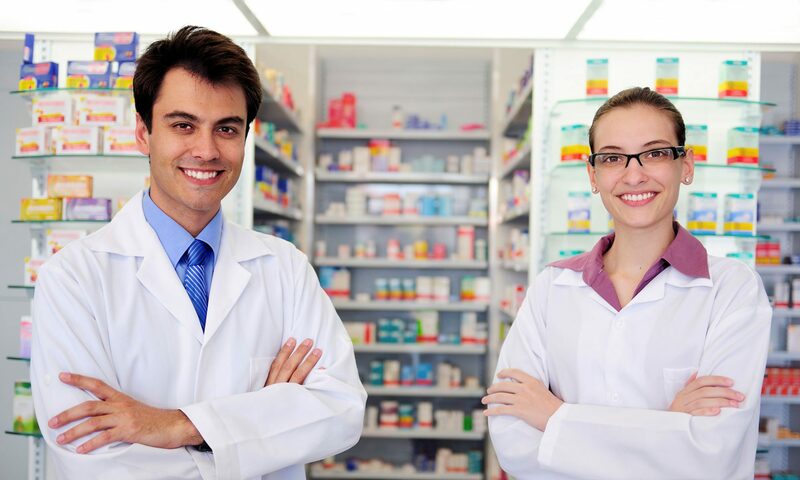 You will still gain important experience by observing the pharmacy’s operations and engaging with the team. If the situation persists after several days, discuss the issue with your Practice Educator. You are on this placement to learn and are required to be supervised. You should alert your Supervisor immediately if you believe that you have made a mistake. Do not be afraid to admit that you have made a mistake, or that you think you may have made a mistake. How do I communicate what I know? Answer questions put to you by the pharmacy staff as best you can, but don’t pretend to know more than you do. The training establishment will be briefed that you are at an early stage in your training. APPEL will also provide some high-level information to the training establishment regarding what areas your coursework has covered, and therefore your Supervisor will be aware of what stage you are at in your pharmacy course. How should I engage with customers/patients? You should take direction from your Supervisor regarding all interactions with customers/patients. Be respectful, courteous and empathetic at all times. Take care not to treat patients as “case studies”. If a patient does not want to engage with you or feels uncomfortable continuing to engage with you, then you should respect their feelings and ensure that the pharmacist can follow-up with the patient. Is my Supervisor supposed to be teaching me at all times? Experiential learning is designed to expose students to real-life practice, and so it is not desirable, nor feasible, for your supervisor to be actively teaching you at all times. All APPEL Supervisors are volunteers, who are generously giving their time and expertise to help support you with your development. Supervisors are committed to teaching you, but this will be undertaken within the context of a busy working environment. Therefore, your learning will be achieved through doing, observing and through active engagement with your Supervisor and other pharmacy team members. Does my placement affect my results for the year? If you fail to complete the placement and/or all of the learning activities, you will need to discuss the matter with a Practice Educator and/or an academic advisor in your School of Pharmacy. Where can I complete my 4th-year placement? The 4th-year placement can be undertaken in a broad variety of practice settings. The 4th-year placement is the only opportunity to undertake an APPEL placement outside of community or hospital pharmacy. APPEL expects to provide 4th-year placements in: the pharmaceutical industry, pharmaceutical consultancy, regulatory affairs, research, the health service, professional bodies, community pharmacy, hospital pharmacy departments, etc. For the foreseeable future, all placements will take place within the Republic of Ireland. Many of the 4th-year placements will take place in organisations which were not available to students undertaking the previous model of pharmacy education. What happens if a student is sick or unavoidably unavailable on a Wednesday, or at times that he/she could reasonably be expected to engage in online activities related to academic online Modules in a timely manner? Contact APPEL in the same manner that you would contact them if you could not attend your placement on a Monday, Tuesday, Thursday or Friday. Depending on the circumstances, APPEL may also request that you contact specified persons within your HEI (e.g. your Practice Educator, your tutor, academic module coordinator) and provide appropriate documentation if required. Remember that completion of activities on Wednesdays, especially week 2, can comprise a significant proportion of the marks awarded for each of the academic online modules. Who is responsible for the quality of my placement? APPEL is responsible for quality assuring the placements. This involves robust processes and procedures for selecting, assessing, accrediting and appointing preceptors and training establishments. All Preceptors will be trained by APPEL and there will be support structures in place for students and preceptors during the placement. What is the 4th year placement? The 4th year placement is a four-month placement* completed from September to December in an APPEL-accredited training establishment. These placements can be undertaken in a breadth of practice settings. The Schools of Pharmacy are committed to developing graduates that are prepared for careers in all sectors of pharmacy practice. APPEL’s aim is to provide students with a broad range of experiential learning opportunities. These experiences will help expose and prepare students for the various roles a pharmacist can undertake. The 4th year placement is the ideal opportunity for students to broaden their practice experience and to further develop their curriculum vitae (CV).